Yesterday was the second day for a meeting with a community of practice of people interested in network effectiveness convened by Monitor Institute. I learned so much and quickly wanted to share a few insights. As he shared the story, I had some questions about weaving offline/online collaboration within networks. I started thinking about how a lot of the online collaboration was taking place on the social web is between people who had never met each other and after they work together may meet each other. In my own experience, I've connected and collaborated with people online who I had never met face-to-face and these have been pretty rich experiences. I've also worked in the other direction - starting with a known group meeting face-to-face and then incorporating online tools to deepen or further our work. What is unique about online collaboration that begins online before a face-to-face meeting? Can it be effective without ever meeting or do you need that face-to-face to build trust? Does that have to happen first? How can you effectively weave offline/online work in a network? 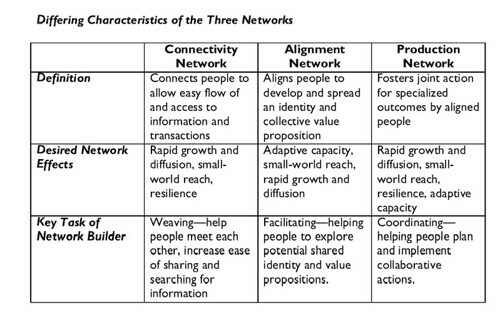 Is it different depending on the intention or structure of the network? Eugene Eric Kim's answer: No difference between weaving networks face to face and weaving networks online. 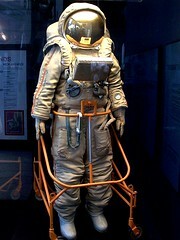 But space does matter, and affects how you interact with people. We can have the power to shape the space. You can build trusting relationships on line, not just face to face. What we need to catalyze networks is conversations. 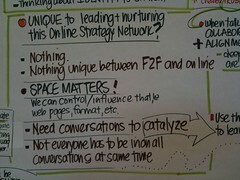 I tweeted some of his points using the #networkf and there was an interesting discussion with people not in the room. Eugene Eric Kim pointed to the presentation above, plus this post further explaining online/offline collaboration differences. Online enables scale. Because you’re working in a medium that is inherently replicable and shareable and where geographical limitations do not apply, you can potentially reach a much larger audience. The key word is potential. Actually attaining scale online is a huge challenge, and how you frame that goal is critical. Size, for example, may not be as important as diversity. International Planned Parenthood Federation has an office on an alley in the Bermondsey section of London. I stopped by there and heard a bit about their 15andcounting campaign. It was great talking social media strategy and potential with Matthew Lindley, Development, Nuzhat Jabinh, Web Officer, Paul Bell, Senior Communications Officer and Chris Wells, Creative Design Officer. (You can follow on Twitter – @djwesto and @t­_box, and of course @15andcounting) We exchanged resources and opinions at a furious and fun pace. At one point Matthew said “You can’t make partnerships if someone has to buy into your brand”. This comment struck me as well aligned with some made by Vikki Spruill from the Ocean Conservancy. She got me started thinking along this line at a networks meeting where she was encouraging the branding of issues, instead of specific organizations. 15andCounting is a campaign to demand better access to sexual health services and education for everyone, regardless of your age, gender or where you live. The 15 refers to both the fiscal promises made by governments in 1994 at the International Conference on Population and Development (ICPD) and the age of the young people who need these services, who were born that year. The site includes a petition and a resource kits with tools, like stakeholders letters, so people can launch campaigns in their country. The site is in English, Español , Français and Arabic. Its fun to look at the petition and see people signed up from Djibouti to Brazil There is a cell phone component to the campaign that has caused it to really take off in South Africa. Check it out, http://www.15andcounting.org/. 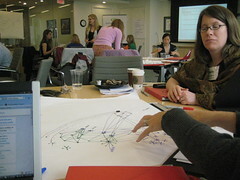 I've been in Washington, DC for the Network Effectiveness and Social Media Strategy Map working session for Packard Foundation Grantees convened by Monitor Institute. This is a post to help me identify what I don't know about social network analysis and mapping tools with the hope that you'll fill in the gaps in the comments. I flew back from DC last night on Virgin America. Unfortunately, the weather in DC kept us on the ground and in the airplane on the runway for a couple of hours. They permitted the use of cell phones, so I tweeted that even if you are delayed, it's a pleasant experience on Virgin America. A minute later I noticed Pistachio's tweet about flying Virgin America from Boston and Glenn Stratchan direct messaged me asking what seat I was in because he thought we might be on the same Virgin America flight. Since I couldn't use my computer to get on the wifi, I took out my session workbook to review my notes on the module about "Understanding Your Network" which included the basics of social network analysis and mapping. Basically, connections can describe anything you want to gather data about to make decisions to improve your network or reach your goals. I've summarized some suggested processes below which simply good research/decision-making frameworks. How would you describe Virgin America in social networking analysis and mapping terminology? That's not a real question, just the idle thoughts of a slightly exhausted airline passenger stuck on a runaway on a Virgin America flight who can't use the wifi to get back to the clouds to summarize the rest of the of learnings/advice about social network analysis that came from Twitter while I was live tweeting. After the presentation on Network Basics (materials here), there were two exercises. The first was to look at the different social network analysis maps posted on the walls and figure out what was going on. The next exercise participants worked in small groups using a low-tech method to "doodle out" their networks (magic markers and flip chart paper.) This exercise reminded me of an exercise I used to do in workshops 12 years ago with nonprofits to introduce the Internet, "Draw A Picture of the Internet"
Some of the maps in the workshop were created with social analysis mapping software. This is an area of tools and techniques that I have wanted to explore in further depth, but haven't. 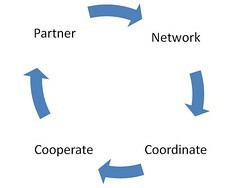 The network is the "structure" upon which the community dances and self-organizes... builds network as it needs it. I used the tag #packnet and asked for the "Poor Man Dummies Guide to Social Network Analysis and Mapping Tools." Va;dis Krebs and other Twitter users pointed to some great resources which are listed below along with others that I discovered. 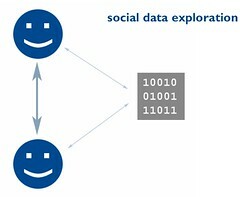 If you are looking at a social network analysis map, you are probably looking for patterns. Beyond the basic descriptives above, what are the different patterns you might see and what does these mean? In other words, how do you analyze and apply the information? The best resource I discovered that answers this questions was "Building Smart Communities Through Network Weaving" by Valdis Krebs and June Holley. The maps are used to improve the results of your network. The network map is a snapshot of where your network is "as is." 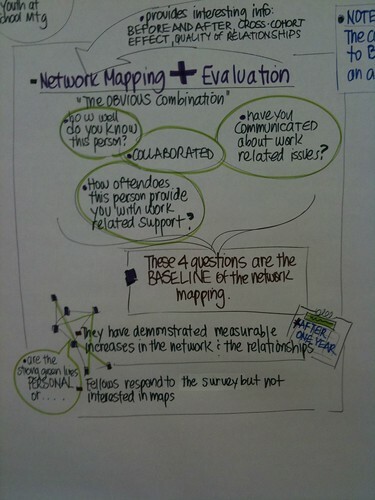 Network maps are "talking documents" or prompts for reflection and strategy brainstorms. 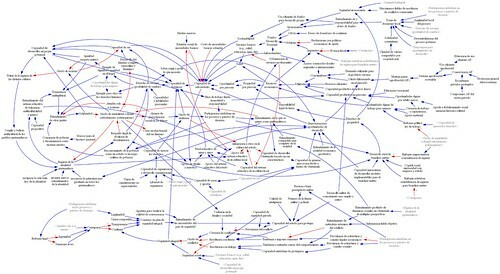 Network maps support "what if conversations." Diversity is important. 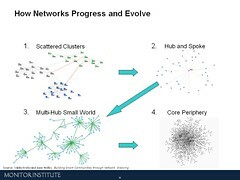 Though clusters form around common attributes and goals, vibrant networks maintain connections to diverse nodes and clusters. Robust networks have several paths between any two nodes. 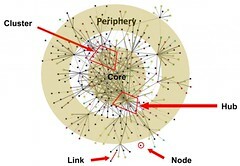 Most nodes are connected by an indirect link in the network. The paper also describes how networks evolve over time - and you can observe this visual patterns. The paper discusses network weaving techniques to help evolve a more effective network - one that is more woven. Some questions related to the network analysis tools that I don't have the answers to, but have started scanning and asking for answers. 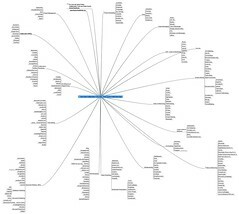 What is a good framework for designing a social network analysis mapping project so you get the most out of it? What is a good step-by-step approach for analyzing your map and making decisions? Why map your network with a marker and paper? Why map your network with a software tool? What information can a social network analysis software tool provide that simple low tech method cannot? What are the different tools available? What are the features? 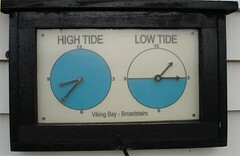 How technical? How expensive? Are there low cost techology tools for less technical people that provide a resulting map that is useful? One important lesson is that you should really spend the time framing the problem or your goal. Also, social network analysis mapping may not be your only source of research - so if you are looking at a complex network and multiple research sources think about staging and phasing. I love these social network maps. My concern is that they don't necessarily help you highlight who's missing -- who could/should be a part of your network (because their interests are at stake, because they're buy-in is required for your effectiveness, etc.) but isn't. Do you know anyone who's working specifically to draw attention to the "holes" in our networks? June Holley comes to mind -- need to explore her work more closely -- but any other resources would be appreciated, too. When selling to executives, many times I start by showing a picture of a produce section of a grocery store and ask: What is missing here? (and then move to the analogous question that is perhaps close to their heart) What are the gaps that if found could signal opportunities? How to you reallocate resources to the most important gaps? This set of questions is very difficult to answer, of course -- ultimately, I am asking them "what is that you do not know that you do not know?" (and this is not meant as a play with words). Within a bounded problem space we have figured out a way to consistently answer that question -- and have been using the result for acquisition integration, sales, knowledge transfer, and much more. I've been intrigued by social data exploration and wonder what offline processes might be adapted to working this with a software tool? 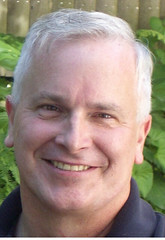 View more Microsoft Word documents from David Armano. Also, I wonder how you can integrate some of the thinking for external communication that uses social networks/social media? These use tools like crayons and paper and process exercises. Marty Kearns has a diagnostic tool over in his Advocacy 2.0 wiki that gives you a good set of questions to ask after you've created a descriptive drawing. 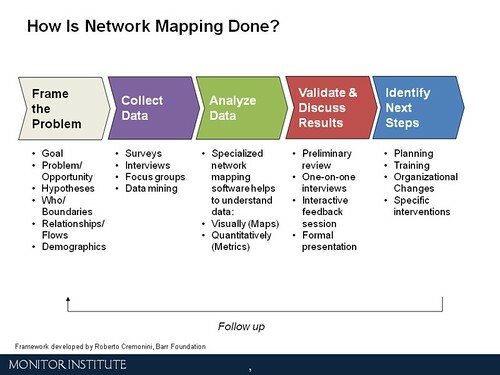 Net-Map Tool Kit is an interview-based low-tech mapping tool that helps people understand, visualize, discuss, and improve situations in which many different actors influence outcomes in a community or network. It includes a step-by-step guided approach. KeyHub: Angus Parker from Wiser Earth has written a review for KeyHubs. 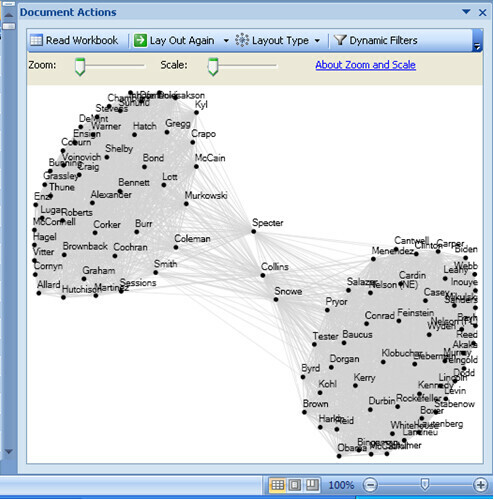 It looks like a social network mapping software that can analyze informal networks within an organization. There is a tour on the site, free trial, and some case studies. TouchGraph: Marty Kearns recommended TouchGraph because it is an easy tool if you have a relational dataset. 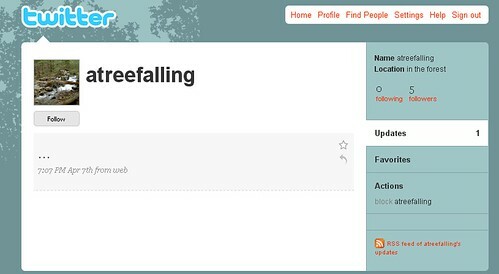 Issue Crawler: Rob Stuart recommended Issue Crawler. You need a good set of URLs to feed it. More information can be found here. June Holley's Smart Network Analyzer: Sarah Carr from EBM a demo from a webinar (here is the demo). Software designed by Valdis Krebs and colleagues. Stephen Baker, BusinessWeek - How Much Is A Friend Worth? If you're wondering why I've been a little scattered lately, it is because I'm about five weeks away from moving 3,000 miles across the country. This has been no small task - closing up a house we've occupied for twenty years, finding a new place to live and the right schools, and countless other details. All in the backdrop of cross-country commuting, getting acclimated to a new working environment and systems, and the added stimulus of everything being unfamiliar. A big move forces you to let go, pare down to essentials. The less stuff you move, the cheaper the moving costs. I've been looking at everything I own with a question - "How essential is this?" Take for example, my vast book collection which I've accumulated over the last thirty years. 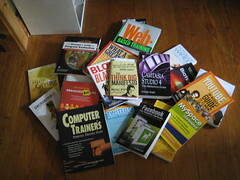 (Okay, I confess I'm a book addict) Unfortunately, books are heavy and when moving costs are based on weight, well, sadly, I had to say good bye to a lot my friends. Over the past couple of months, I've been shipping them off various nonprofit libraries, friends, and doing giveaways on the blog. The batch of books in the photo above found a new home at In Defense of Animal and Funding Information Center in Texas. As you may have read on Allison Fine's blog, we are co-writing a book to be published by Jossey-Bass/Wiley & Sons early next year. 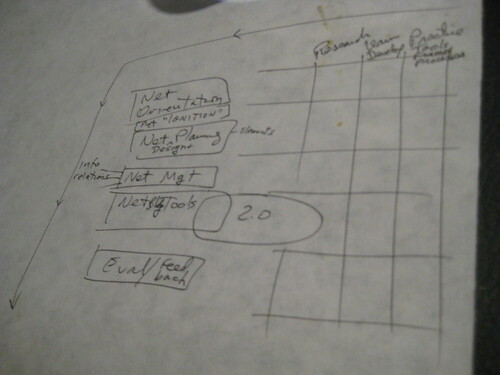 It's tentatively called the networked nonprofit and is how nonprofits can work more like clouds. As we've been discussing different themes in the book, the concept of simplicity is a good starting point. The array of social media can appear to be very complex. But social media and social networks respond to the same needs that drive people; the need to connect with one another in meaningful ways through conversation. Social change happens through conversations, and the job of nonprofits is to organize themselves in such ways as to catalyze and manage those conversations. It's about letting go - the staff or the organization doesn't have to do it all. It's also about having the ability to stop doing programs or activities that don't work. It's also about streamlining decision-making and being more nimble. It's about a lot more things, but I'm hoping you will share your thoughts on that in the comments. One act of simplicity for us is a new freedom around letting volunteers, supporters and advocates drive for a bit. Giving them the tools to speak on our behalf and having a channel through which they can provide feedback and have a hand in our decisions. All of this is pretty new, but moving along very quickly. I think we are rethinking volunteerism and advocacy to include e-based volunteer projects and message carrying even if that message isn’t exactly on brand. 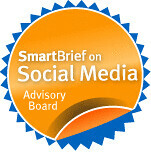 So, do you have a story about how your organization has embraced simplicity in its quest to use social media? The best comment gets the above copy of Secrets of Simplicity! 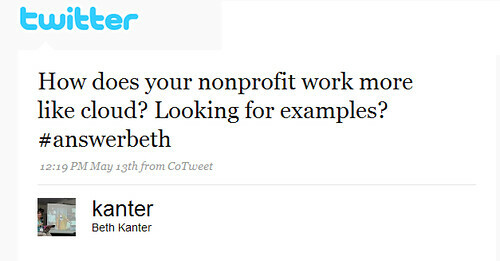 Can Nonprofit Organizations Work More Like Clouds? How? 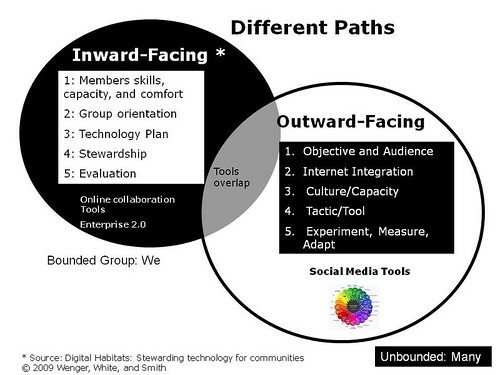 The illustration above comes from a book by Rob Cross called "Driving Results Through Social Networks" which is about how to leverage informal networks within your organization or cross-organizational teams. I'm giving my copy away, but that isn't the point of this post. I am still thinking the Cloud, Storm, and Tower keynote that Mark Pesce delivered at ConnectingUp Austraila where he suggested that nonprofits need to "look more like a cloud." 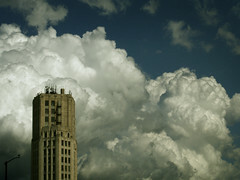 The visual above sort of illustrates Tower organizations versus Cloud organizations. If you can permute your organization so that it looks more like the cloud, you’ll have an easier time working with the cloud. Case in point: because of ‘message discipline’, only a very few people are allowed to speak for an organization. Yet, because of the exponential growth in connectivity and Web2.0 technologies, everyone in your organization has more opportunities to speak for your organization than ever before. Can you release control over message discipline, and empower your organization to speak for itself, from any point of contact? Yes, this sounds dangerous, and yes, there are some dangers involved, but the cloud wants to be spoken to authentically, and authenticity has many competing voices, not a single monolithic tone. "I think there's a portion of ppl in our org who are "cloud" people, but upper mgmt still resists it, hence a clash." First, we use a customized build of Salesforce, which the Salesforce Foundation has donated to us. Morgan Sully suggested that a lot could be learned from studying cloud culture. He pointed me over to a study of Networked Culture which is a project of the Institute of Network Culture and an organization devoted to open research in the nonprofit sector, WeKnowMore. But what Pesce is really talking about culture change inside the tower organization to be more effective deploying social media tactics and to work with the Cloud. Can a Tower "look more like a Cloud" and still be Tower? How can Tower and Cloud style of working co-exist within a nonprofit organization or network of organizations? "a dynamic two-way flow of power and authority, based on knowledge, trust, credibility and a focus on results, enabled by interconnected people and technology"
The site asks what it means for you? As a Leader - become deeply aware of - and truly mindful about - the scope and reach of interconnected markets and flows of information. Understand how people are connecting, talking, sharing information. Be prepared to listen deeply, be responsible, accountable and transparent. As a Manager - become knowledgeable about online work systems and how the need for collaboration is changing the nature of work, generally - and the nature of managerial work specifically. Learning how to be an effective coach is all-important. As an Employee - become more aware of the changing nature of work, and the traditional structures of authority. Develop a clear understanding of how to be both empowered and valuable and of service. Understand how to navigate on one's own through a constantly shifting landscape of work. As a Citizen - understand the possibilities and responsibilities inherent in open and public dissemination of information. Understand and exercise the responsibilities of citizenship in a country. Understand how to have influence via electronic participation and collaboration. How is your nonprofit working or trying to look more like a cloud? I've been designing and delivering technology trainings for nonprofit organizations for the past 15 years, I try to find fun ways for people to understand and feel comfortable with the technology. Not so much how to use it, but how to use effectively. Humor helps. Over the past five years, I've been focusing on social media. In the early days, the big hurdle was getting to shared understanding of what social media really means. In 2007, Michael Wesch, a digital anthropologist, created this striking video called The Machine is Us/ing Us, to explain in five minutes what the Web 2.0 or social media was all about. In workshops, I'd play the video and have folks jot down words or themes. I'd aggregate the responses to create a shared mental map. 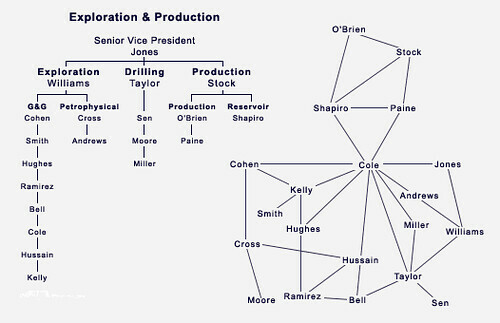 Over the years, I used this exercise for different audiences, from filmmakers to university professionals. This exercise is most appropriate for people who want to know the what/why versus the best practices of how to do it. Social media is all about the linkages to people versus content and the ability to self-organize and co-creative. Its the power of being about to work in a networked way with a group that isn't predefined. I was delighted to discover the above remix of Wesch's video, "The Machine is Us/ing Us Dance Remix" via Elsua who helped me get to the Cambodian bloggers conference back in 2007. The remix epitomizes the era of social relationships (see Jeremiah Owyang's Five Eras of Social Web). Interpretive dance, is when a dancer (or dancers) often improvising (though sometimes it is choreographed) a dance to another medium. Technology adoption is part choreographed, part improvisation. The point of that Hinchliffe makes about best practices for adoption of Enterprise 2.0 (or social media for inward facing work) is that there aren't any best practices. You have to improvise! According to Hinchcliffe "Organizations are unique, and operate in very different ways and therefore what may work for one business may not work for another." And if you're talking about organizations working together with other organizations, that is also unique. So, we should try to avoid at all costs asking this question first "What tool should we use?" Stop thinking that adopting social media or social software or online collaboration tools is a matter of selecting a tool off a menu. There is a process that requires understanding the space between the tools and the people and having someone who knows that space so well they can an interpretive dance between the technology and the users. Who in your organization, community, or network serves as the intepretive dancer? What style of dancing?